Today was the day we did thw actaul crossing. When we woke up this morning it was raining but by the time we left the hotel it had cleared up. 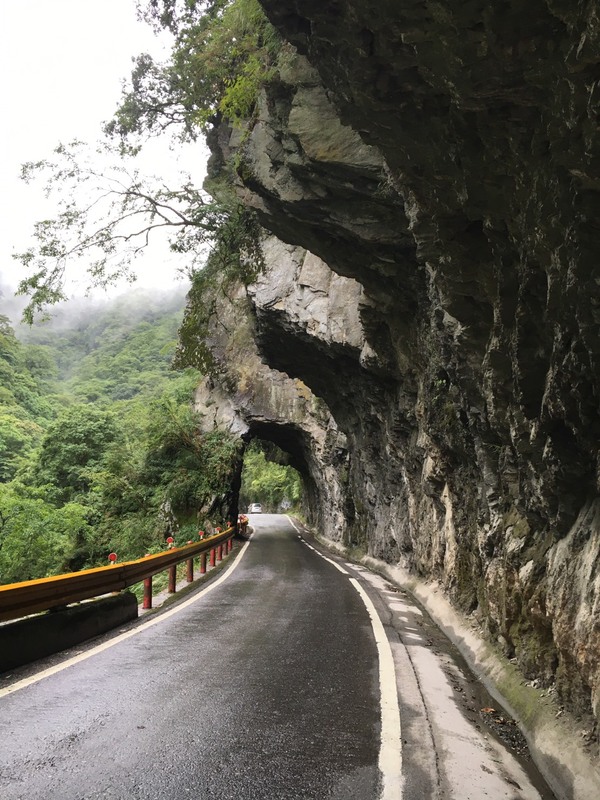 We rode out of Tianxiang, and while the landscape was plenty dramatic I was so happy to be on the road we didn’t really stop to take photos. Riding a motorcycle on a road like this is a powerful experience. 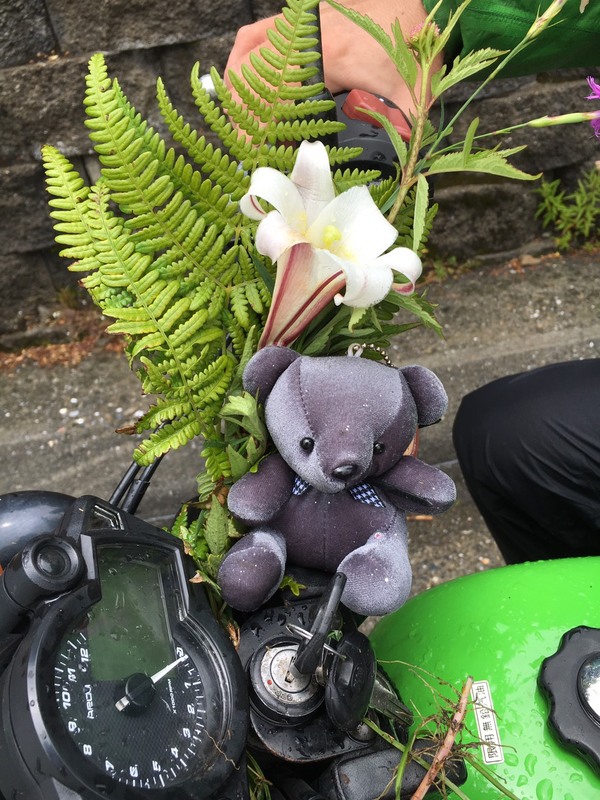 You feel like you are one with the machine and that you and the bike are one with nature. 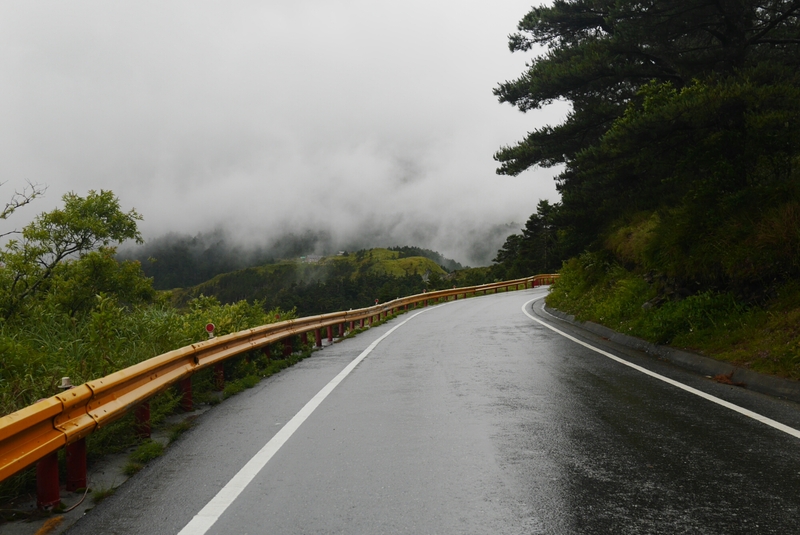 There is only the purring of the engine, the feeling of the elements against your skin and the road ahead of you. Around eleven it started raining again which did not bode well for the rest of the journey considering the drop in temperature at higher elevations. At this point however, it was too late to turn back. 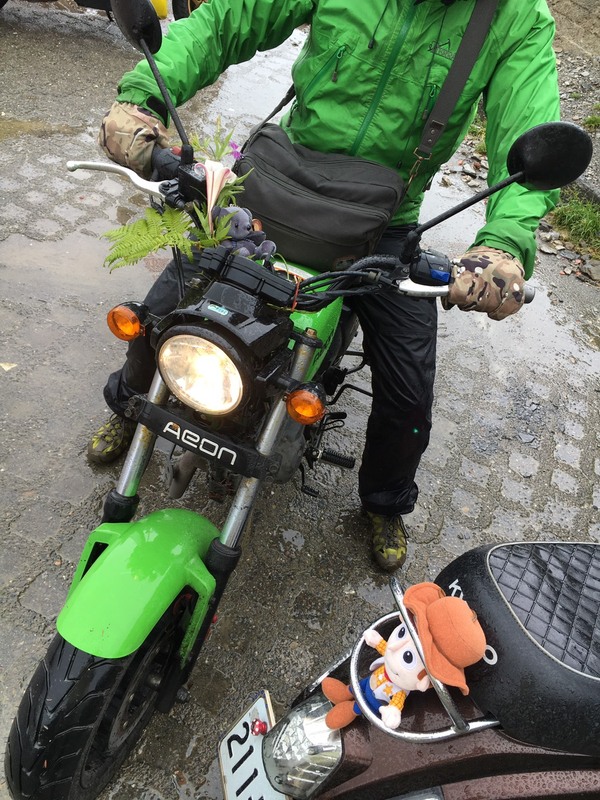 We pressed on, and the sense of adventure outweighed the misery of riding in the cold and rain. Every once in a while the mists would clear up a bit and we were treated to some breathtaking views that made it all worth it. 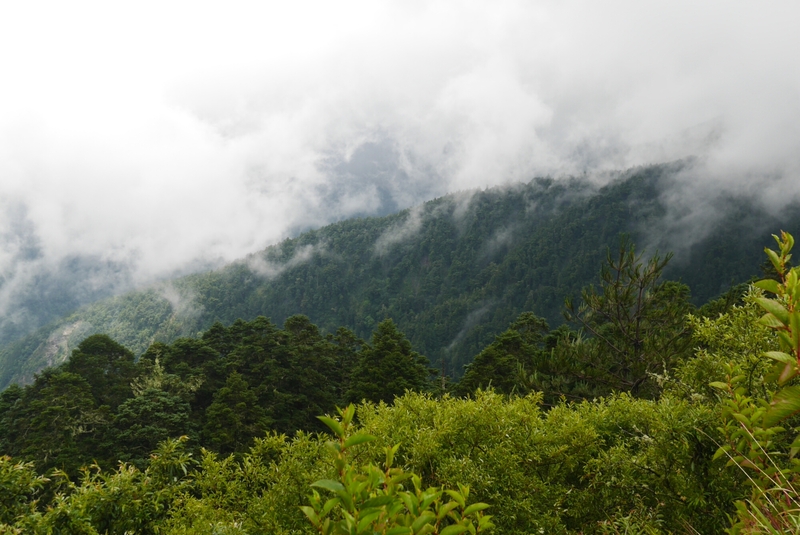 By the time we reached 3000 meters it was really cold and my ungloved hands were getting numb. We knew from beforehand that there is a tourist center close to the high point of the road, and as soon as we got there we went inside to warm up. When we were warm again we headed back out. 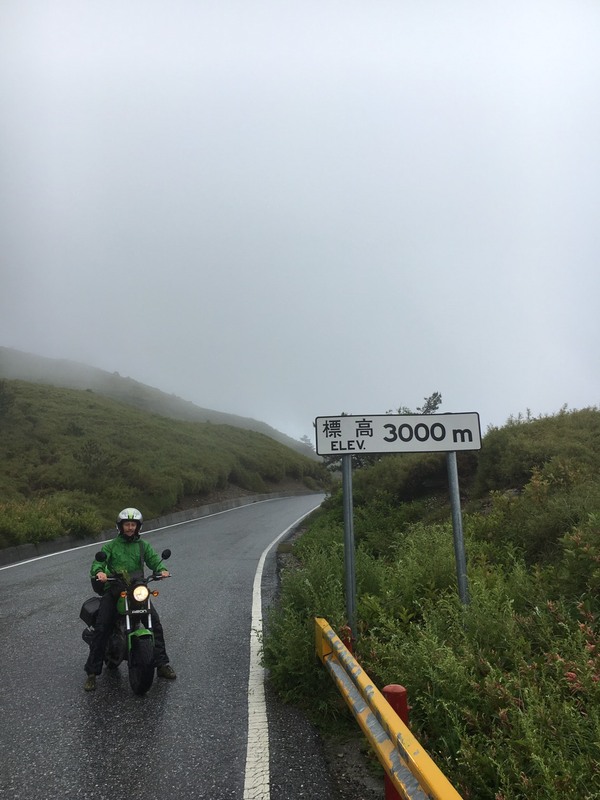 The altitude had little effect on me and Yini but I noticed the motorbike was really down on power, I had to keep it in first gear to get up even the smallest incline. 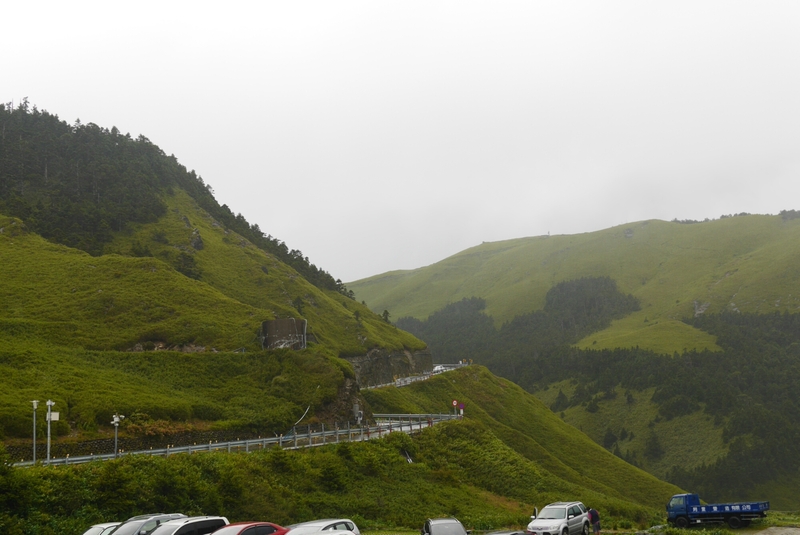 Shortly after leaving the visitor center we reached the highest point of the road at Wuling, it is listed as 3275 meters above sea level. From there it was basically down hill all the way. The rain had abated somewhat so it was much more pleasant. 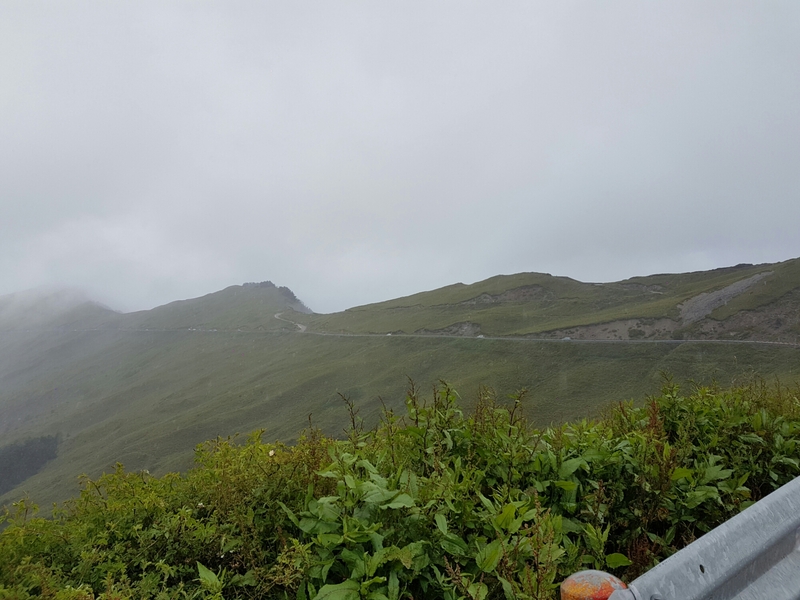 We rolled down the mountains and by mid afternoon we reached Puli which is the gateway to the cross island highway on the west side. 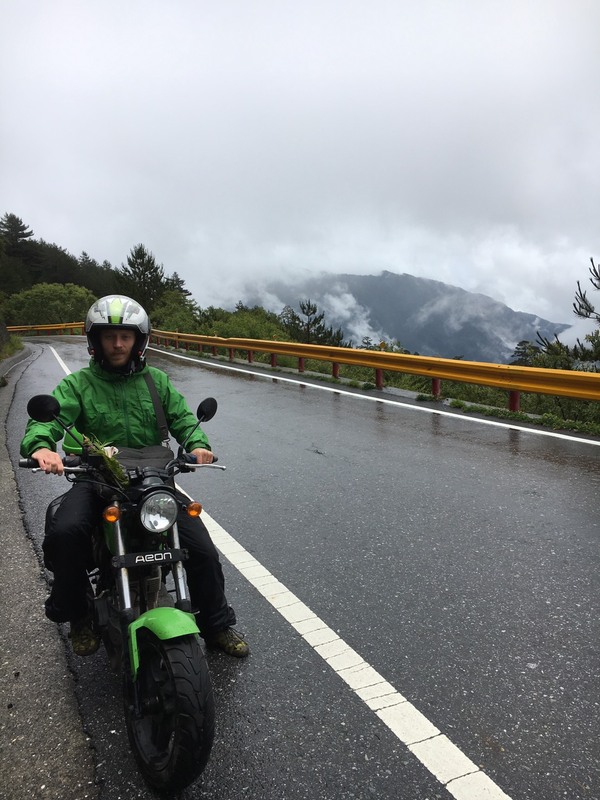 Maybe the rain dampened my mood somewhat because I didn’t exactly feel happy, but there was a sense of accomplishment in knowing I crossed the central mountains by motorbike. 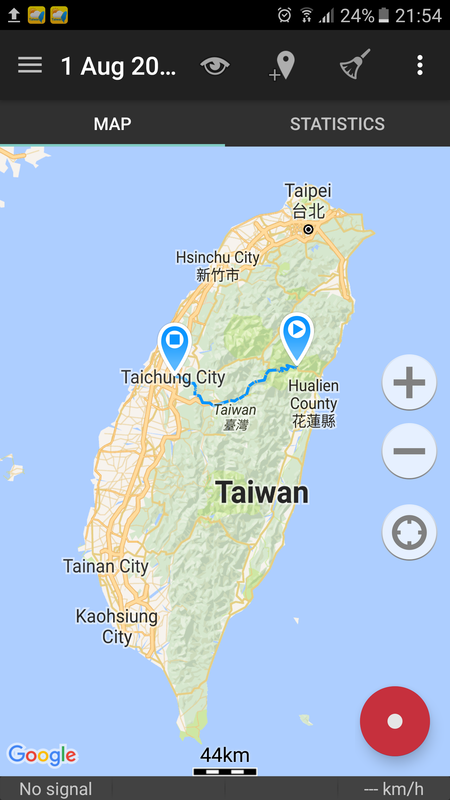 The original plan was to sleep in Puli then send the motorbike back by train but since we had several hours of daylight left we decided to go all the way to Taizhong city and stay there. 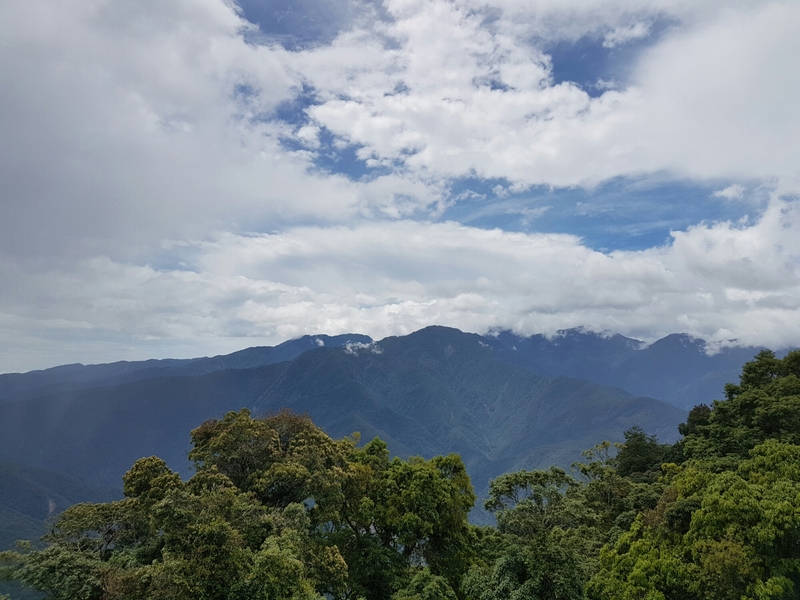 We took the mountain road to Taizhong and got to see some beautiful but more familiar views along the way. I will end my post with the best one, tomorrow will just be the journey home, whether by motorbike or by train we haven’t decided yet.